This was her only crime–a refusal to convert or revert to Islam. This exceptionally beautiful woman was arrested and brutalized in a medieval fashion: Chained up in a dark dungeon and forced to give birth on the filthy floor of that very dungeon in chains. 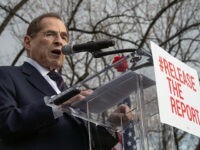 The fact that her husband is an American citizen and that her two children, including the daughter born while she was imprisoned, are also American citizens did not sway the Sudanese authorities. What has? It is hard to say. International human rights groups and Christian groups launched campaigns on her behalf. An internet campaign which I quickly joined seems to have gathered some momentum, but internet campaigns do not open cell doors. Many articles were published, including mine at Breitbart, but that, too, does not usually open cell doors. However, I have been told that the American Embassy in Khartoum would not get involved–at least, not publicly and not visibly. On June 19, 2013, thirty eight Congressmen signed a letter to Secretary of State John Kerry. This effort was spear-headed by two Republican Congressmen: Trent Franks and Frank Wolf. Thirty one Republicans and only seven Democrats signed this letter. Shame on the Democratic Party! Here is an African woman who is exercising her freedom of religion–a value that we in the West, particularly in America, hold dear. Senator Ted Cruz called on President Obama to directly engage Sudan and call for her release. And now, five days later, on June 23rd, a Sudanese Court has freed her and declared her innocent of all charges. Really, what has opened her cell door? At this point, I cannot say. But one thing is clear: This is an international victory against Shariah law–and as Shariah law is imposed in a Muslim country. This is no small thing. The stand taken by Christian and human rights groups, coupled with the Republican-led coalition demanding that she be freed, helped. Other questions abound as to what occurred behind closed doors. Did money change hands? if so, whose money? 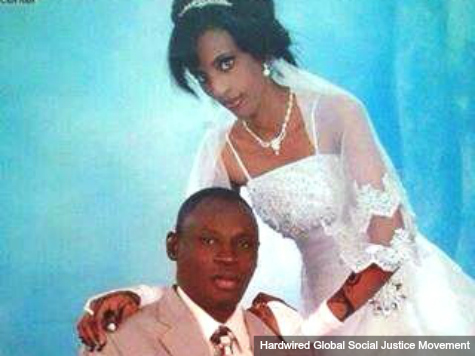 Have we traded away terrorists for Meriam’s freedom? Will we ever know? More importantly, will she now be protected from death threats? Will the American Embassy give her shelter? How will she get out of the country? Who will sponsor her for political asylum here? How many other Meriams will we have to rescue, campaign by campaign?